​Social and Emotional Wellness leads to Academic Success! We have provided you with resources and strategies to help you cope with stress and reach your goals! ​the latest and most useful information to help you be your best you! During the middle school years, children are developing their ability to recognize and understand their own emotions and the emotions of others. They learn to control their own emotions and develop communication skills to express themselves in a positive manner. They also learn perspective taking and the importance of empathy.​ In other words, children are developing Emotional Intelligence! Keep Calm and Try this Grounding Exercise! ​Feeling stressed or anxious during class? You can remain in class and push through it, see below on how! 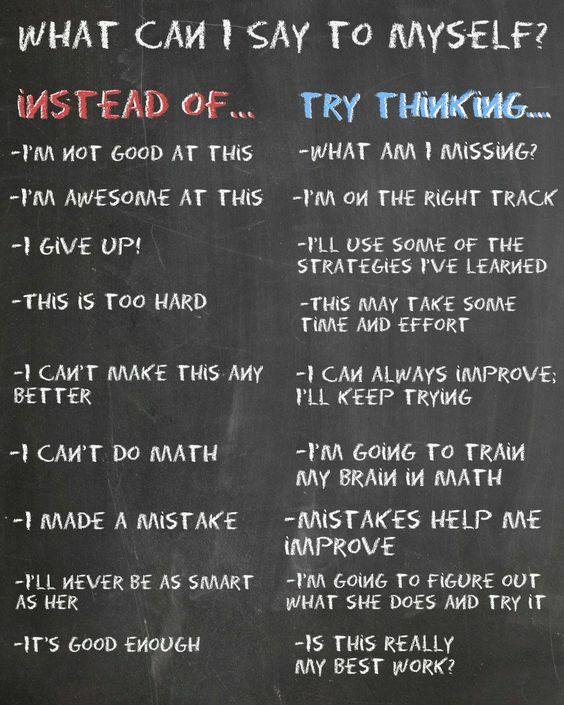 People with a Growth Mindset believe that their skills and abilities can be developed with hard work, dedication and effort. So many classes, a project to complete, two tests and a quiz to study for? Click below on the 'Mindfulness Essentials' tab below and learn how to utilize mindfulness to help reduce stress and keep you more positive minded! Social issues have you in a tizzy - fitting in, having friends, rumors, dealing with social media? Click on the 'Friendship Dilemmas' tab for tips to work it out! Having a tough time seeing the positive in situations, maybe the glass feels a bit half empty instead of half full? 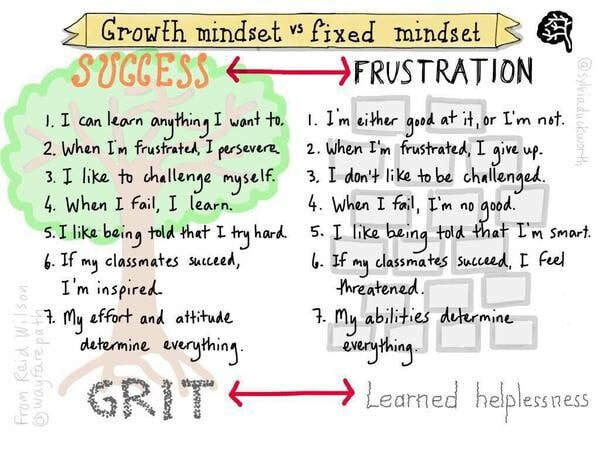 Click on the 'Growth Mindset' tab for ways to learn how to embrace problems as opportunities! 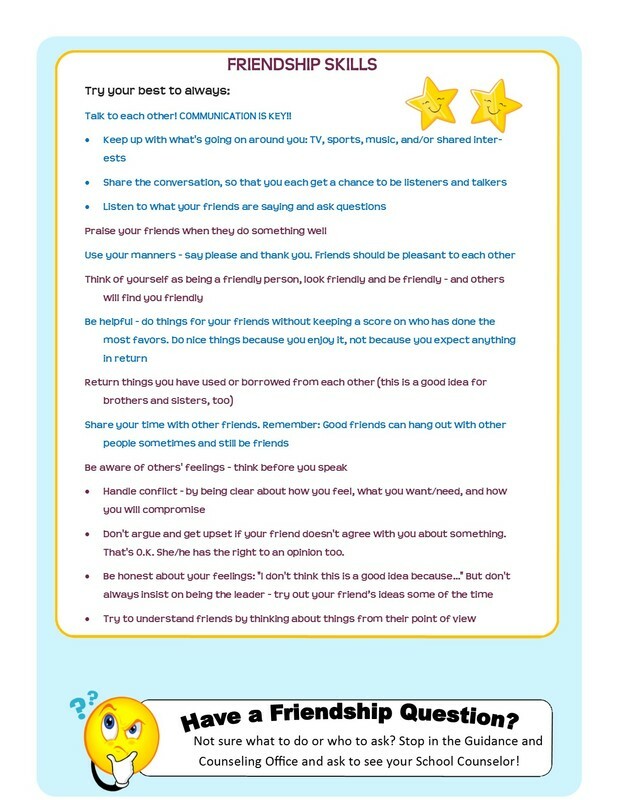 Check out the Salk Friendship News for helpful information on making and keeping friends! We have many books and resources in the Counseling Department that students are welcome to access. Below are links for some great books that can be borrowed at your local library or bought! For Students and Parents : FREE Apps to Ease Your Stress! For Parents : Articles and Resources to Help Ease the Middle School Years! Choices article- are you addicted to your phone?